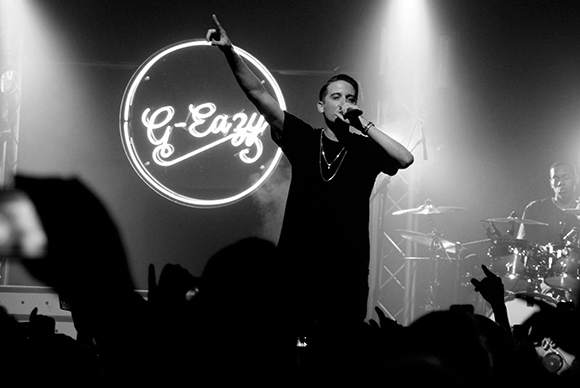 G-Eazy and Logic are bringing the heat to Farm Bureau Live on Wednesday 20th July 2016 as part of their Endless Summer Tour! The two slammin' rappers have hooked up for a trek that will see them visiting a long streak of cities across North America, tearing up stages as they go! Joining them will be fellow MCs Yo Gotti & YG – it's gonna be off the hook! Raised in Maryland and rapping as early as age 13, Logic (Robert Bryson Hall II) released his first mixtape in 2009 under the name Psychological. On the strength of this first release, Logic opened for Pitbull, EPMD, Method Man, Redman, and Ludacris at a show in Maryland that year. He released his debut official mixtape Young, Broke and Infamous in December 2010, after changing his name to Logic. Three years later, Logic signed to Def Jam Recordings, with whom he has released two studio albums, the most recent being The Incredible True Story. His debut studio album went on to sell over 70,000 copies in its first week, and his most recent topped the rap charts with 125,000 equivalent album sales in its first week.